Taking on a position as assistant professor gave me the wonderful start-up money we're so keen on to get our operations started. Ironically spending that money turned out to be much more of a time sink than I anticipated and a lot of that time went into purchases related to campaign GPS equipment. While UNAVCO has a plethora of information on this stuff in their knowledge-base, it doesn't quite tell you what and where to buy. Since a few friends, who recently also scored faculty posts, asked exactly this question, I will follow Matt Might's advice on low-cost academic blogging and respond to public. Plus, this forces me to finally put all the information that's distributed over file system and a large number of emails in one place. A good deal of this information comes from collaborators and, of course, the fantastic engineers at UNAVCO. 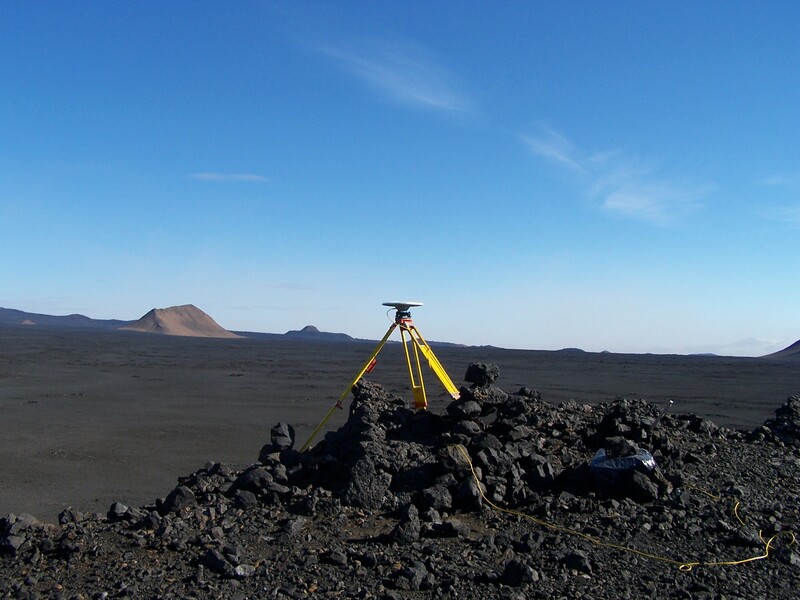 If you haven't done a GNSS/GPS survey yet, read UNAVCO's campaign handbook. Note that all prices given here are guidelines. Obviously they can change and you should get your quotes directly from vendors yourself once you're ready to do the purchasing. If you intend to establish new benchmarks, epoxy the Bevis pin into solid bedrock. These can be installed with a battery powered drill (e.g., Bosch RH328VC-36K 36V SDS-plus Rotary Hammer) and a 1/2 inch drill bit (e.g., Bosch HC2087 S4L SDS-Plus Shank Bit 1/2 by 16 by 18-Inch) and require epoxy. One pin cost me about $17 in the machine shop. Precision Design & Machine should be able to make these for you if you don't have access to a machine shop; or try to find another one on the web. 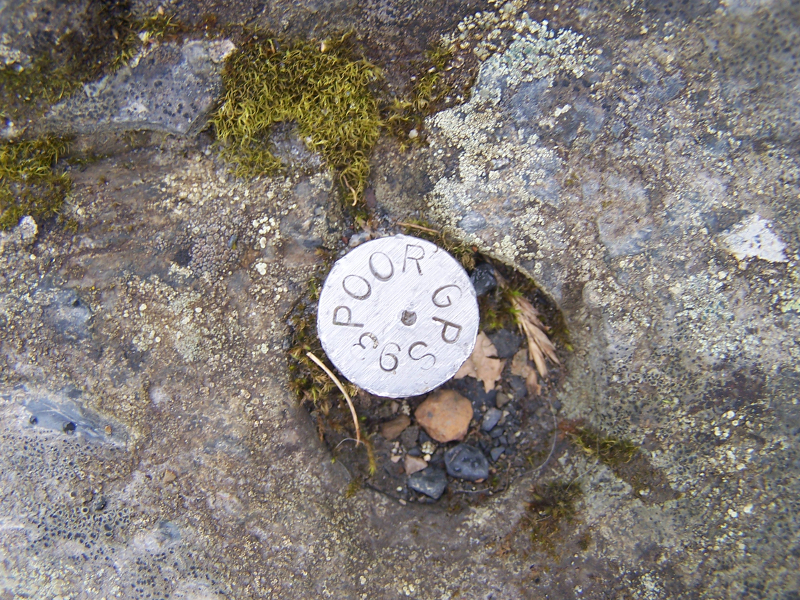 (left) Pin benchmark for site POOR in Alaska. (right) Fresh, uninstalled pin. If the substrate is not solid bedrock (and you're interested in processes that don't relate to tectonics / require sub-cm precision), try the FENO Spike. This might be useful for hydro-geodetic surveys. If you require a solid monument in unstable substrate, you probably want a shallow or deep drill brace monument, a concrete pillar or something similar. The idea is to anchor deeply and create stability that way. It's best to get in touch with UNAVCO to sort out what your options are given stability requirements. You have a number of options, but I will focus on fixed-height spike mount and tripod setups. Simply, because that's what I use. The spike mounts have to be machined and the recent version that UNAVCO designed is pretty sweet, so here are their details/ specs. The UAF specifications, which have a long history and McMaster Carr part numbers, are basically an earlier model of the UNAVCO setup. I had these machined in the R&ED machine shop at New Mexico Tech; including labor and parts they came out to cost about $775. Cases for the spike mounts are advisable. I am having mine made by Apocalypse Design, Fairbanks, Alaska. They have a pattern from UAF (make sure it's the one that has an 0.5-1 inch added to all sides, the original is a tight fit; ~$150/ea, I'll post a photo once I have them.). 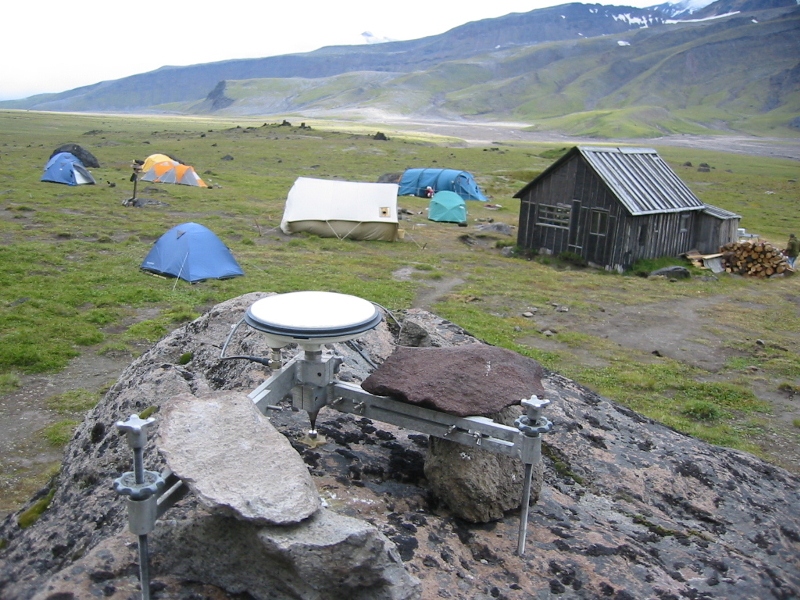 (left) Spike mount setup on BEZH, Bezymianny Volcano, Kamchatka. 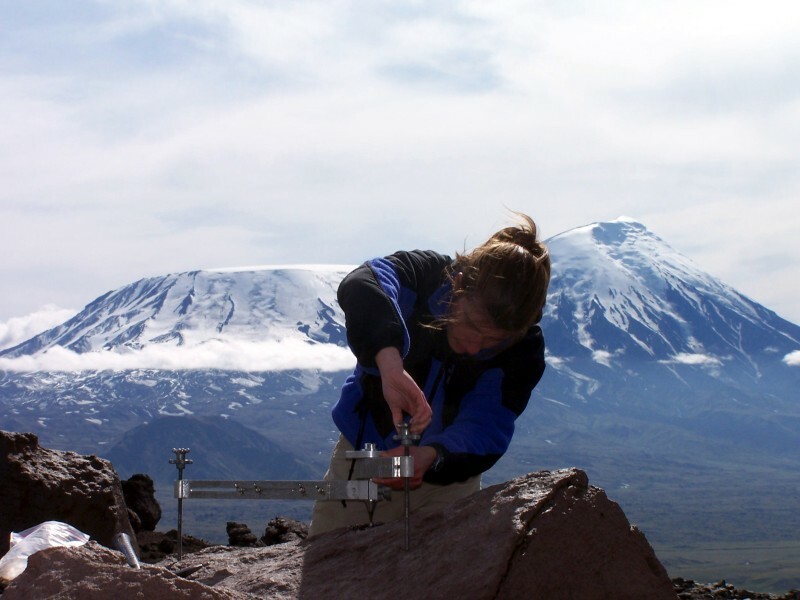 (right) Spike mount being set up on KAMD, Bezymianny Volcano, Kamchatka (photo: Pavel Izbekov). 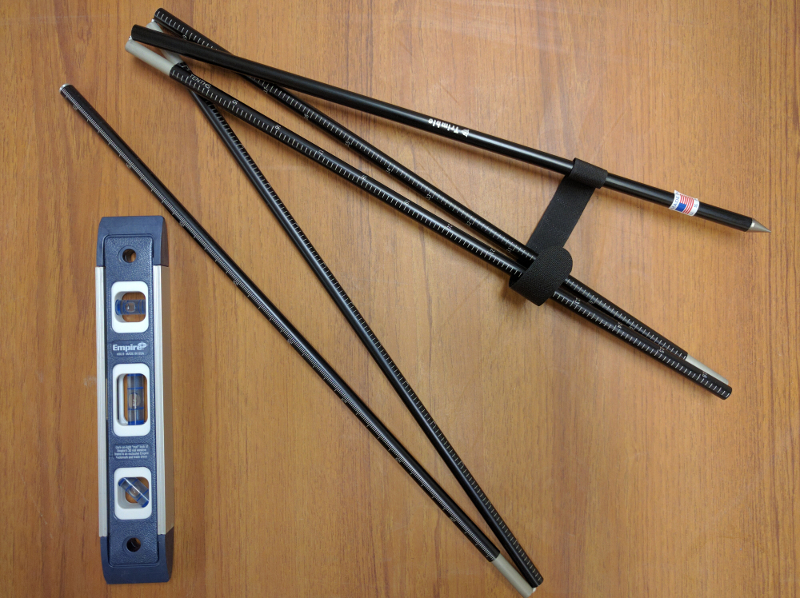 Height Stick: get in touch with your local Trimble dealer and ask for a Timble HI Rod to measure the height of the antenna. These are 2 meter carbon fiber poles that look like tent poles and have mm and inch scales (~$270). 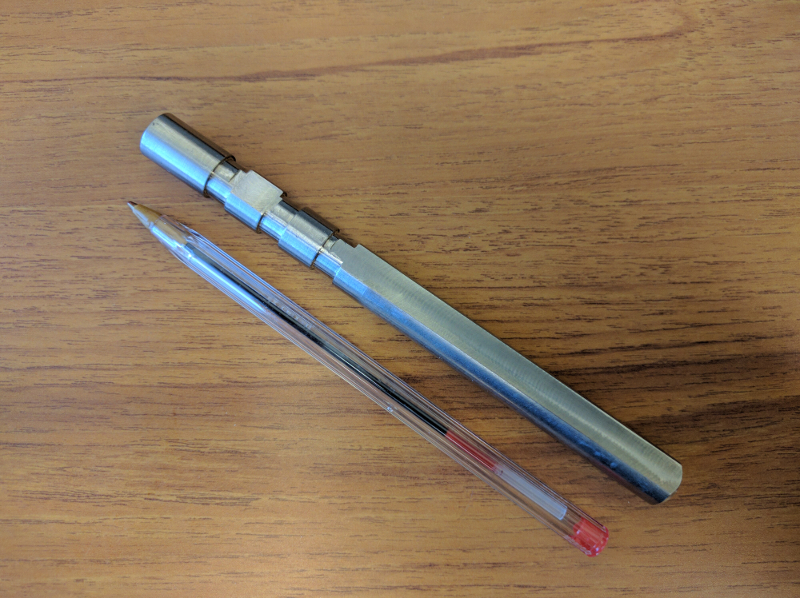 Acquiring these took the longest, because every store on the web still had the SECO 2-Meter height pin listed, although they are not being produced anymore (would be only ~$180 though). I claim that the "out of stock" notes on most surveying suppliers are my good work! Note that this follows the setup the UNAVCO Polar Group has developed. I used this at Erebus and liked it. It's not necessarily the smallest / most lightweight setup, keep that in mind! Again, get in touch with UNAVCO if you need to customize your design, or play with the components yourself. 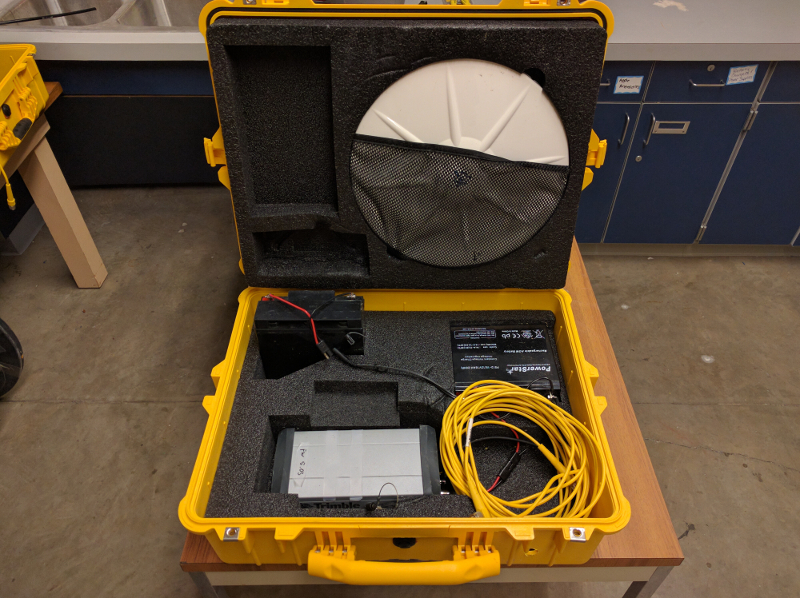 You will need: receiver + antenna, battery, a pelican case to protect your receiver (they do float in glacial outburst floods! ), foam inserts to keep everything in place during transport / flood, and optionally solar panel & charge controller. (left) Incomplete receiver box. Anything solar related is still missing, and the antenna cable currently just goes through a hole in the box. To be continued ... (right) One example of the smaller UNAVCO setups (here for Trimble 5700). 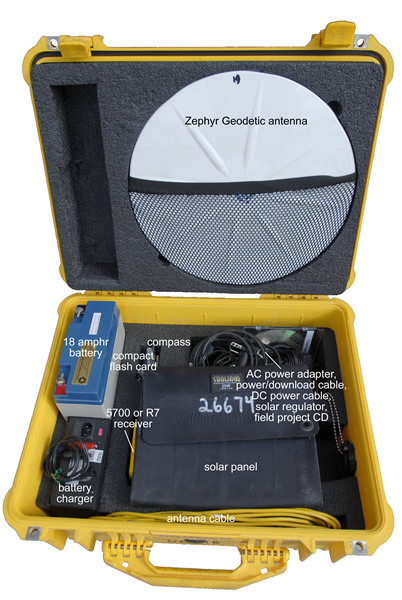 I bought Trimble NetR9 receivers through UNAVCOs group purchase program; the price for a receiver with a Zephyr Geodetic 2 antenna two years ago was $4,200 (GPS tracking only, GLONASS enabled was $1500 more per receiver). However, since then UNAVCO has chosen Septentrio as the preferred vendor and I don't know what the current prices. However, UNAVCO provides a list with vendor contacts that provide special pricing for UNAVCO members. Refer to the "NetR8/NetRS GPS Foam Case Insert" and call them for a quote, which depends on number made. The quote I got was $152/ea. and plan for 3-4 weeks of production. I went with rechargeable lead-acid batteries. We'll see how it goes. Two of these, connected in parallel, go into 1 pelican case. I got Schuhmacher SEM-1562A-CA battery chargers and used the ring connectors that come with this as permanent connectors in the campaign box. Since I use lead acid batteries, I got Genasun GV-5 PB 12V charge controllers and Sunwize SW-S40P 40 watt solar panels. cable housing against critters I live in the desert and had the first antenna cable chewed through after 1 campaign! We'll see how this will come together once it's all here. I am sure I am missing something - gotta be! cases for tribrach / optical plummets: get more pelican cases and pluck foam to fit yourself, or go the Apocalypse Design route. rg <at> nmt <dot> edu | Created: 2016/06/18 | Last modified: March 12 2019 15:13.